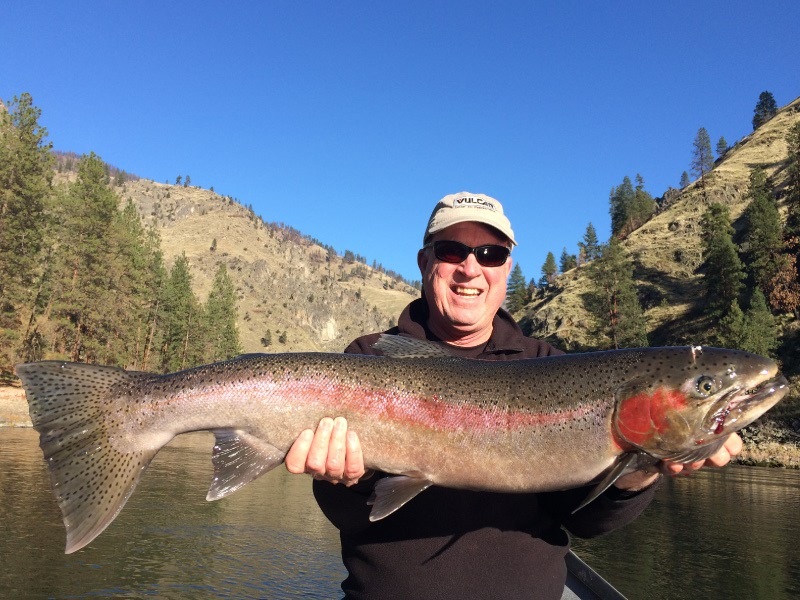 We are located in the prime location for Idaho Steelhead and our lodges offer a unique advantage for our fishermen to be successful along with great food and accomodations. Our lodge location at China Bar and also at Mackay Bar	provides for an exciting opportunity to catch the fish of a lifetime in one of the most remote areas in the lower 48 states. The Salmon River has one of the largest hatchery systems in the nation to go along with the hundreds of miles of natural spawning habitat for wild Steelhead. While fishing the Salmon River you will experience breathtaking scenery and wildlife in the heart of Idaho's Frank Church Wilderness. We customize trips for those that prefer to fish from the bank, perfect for fly fishing or you can fish from the boat where your guide can use several fishing tequniques using spinning gear. 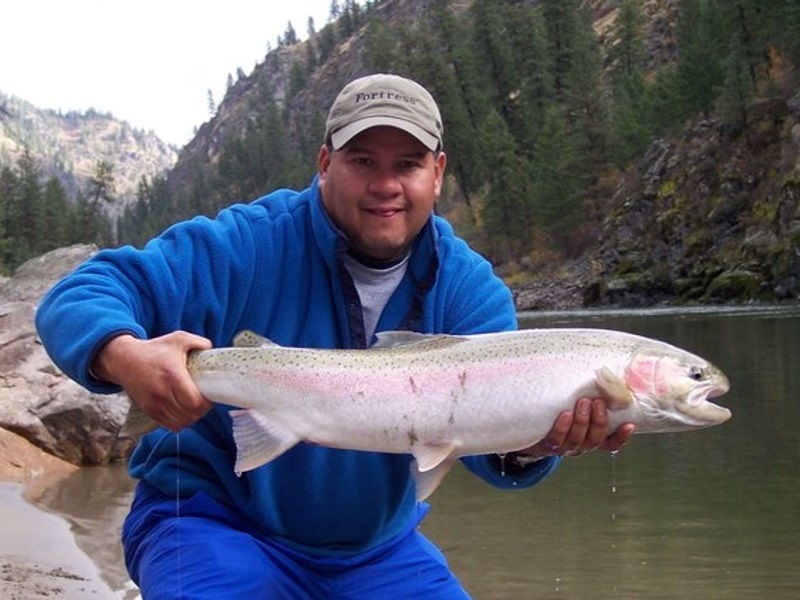 Our Steelhead guides are knowledgable and proffesional they will not only instruct you how to catch Steelhead, navigate the river and find the fish but also relay the history, geology and wildlife of the River of No Return. 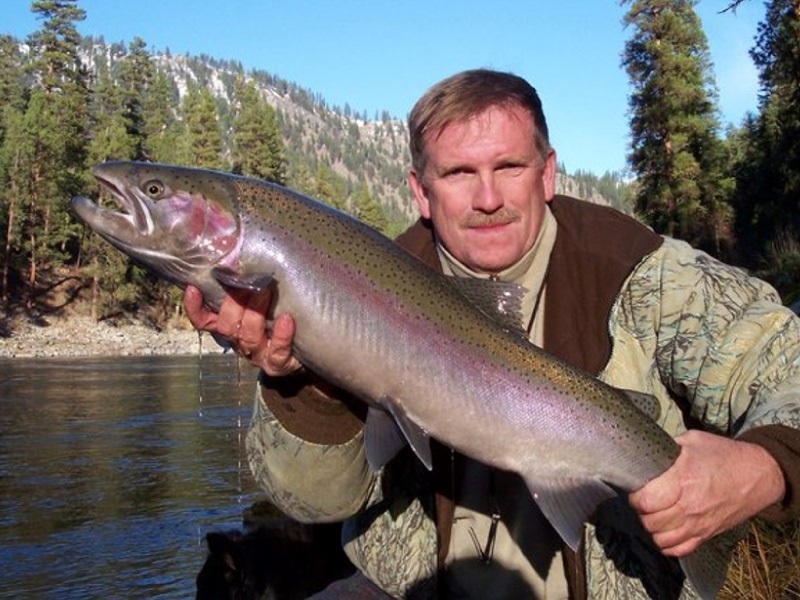 Catching Steelhead is what we live for, let us bring you the dedication and quality you deserve and expect. Trips for both novice and experienced fishermen, we will customize your trip to your needs and abilities. The Salmon River boasts some of the best wild and hatchery runs of Steelhead in the nation. We fish some of the most spectacular wilderness in the country with more permitted river miles in Idaho than any other fishing outfitter. If the conditions are not great on one section we can get you to the fish on another to make sure you get the best experience possible. Our jet boats and experienced guides allow us to get places no one else goes to get you out of the crowds and into the fish. A good lunch, and quality fishing tackle is provided. Steelhead fishing and lodging in the Frank Church Wilderness, experience the Ram House Lodge at Mackay Bar at the confluence of the South Fork of the Salmon River. 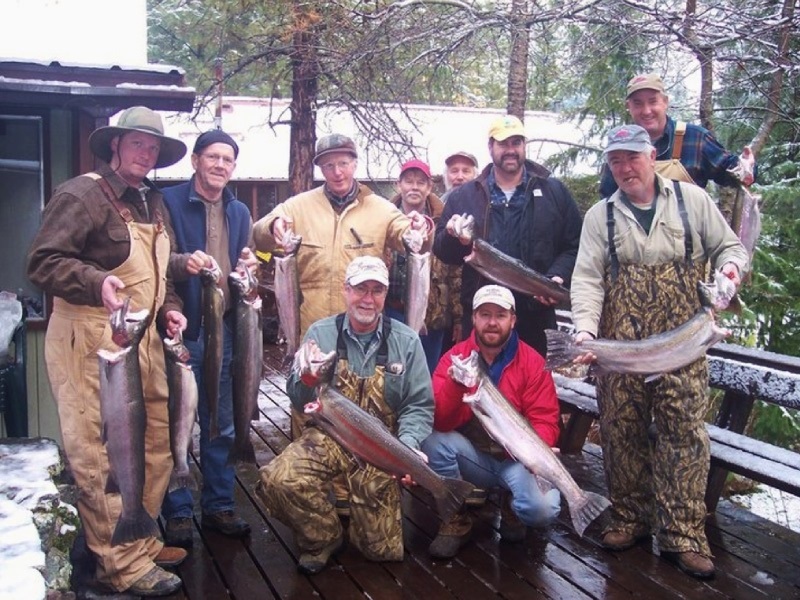 Our lodge offers a unique advantage for our fishermen to be successful with the best fishing in Idaho right out the door. This trip combines this great fishing with great food and accomodations, you will enjoy reliving the tales of the day while taking in the spectacular views. Our lodge location at Mackay Bar provides for an exciting opportunity to catch the fish of a lifetime in one of the most remote areas in the lower 48 states. This fishing trip with lodging at Mackay Bar starts at the end of the big salmon road 26 miles from Riggins at Vinegar Creek. We meet and load your personal items at 3:00pm mountain time. Let our experienced guides take you on an adventure of a lifetime, escape into the wilderness for Steelhead fishing of a lifetime. Jess and Brenda Baugh owners/operators of Mountain River Outfitters and Salmon River Tours operates under USFS and BLM special use permits for Salmon Challis National Forest North Fork Ranger District, Hells Canyon National Recreation Area Wallowa Whitman National Forest, Nez Perce National Forest, BLM Lower Salmon River Cottonwood Field Office. 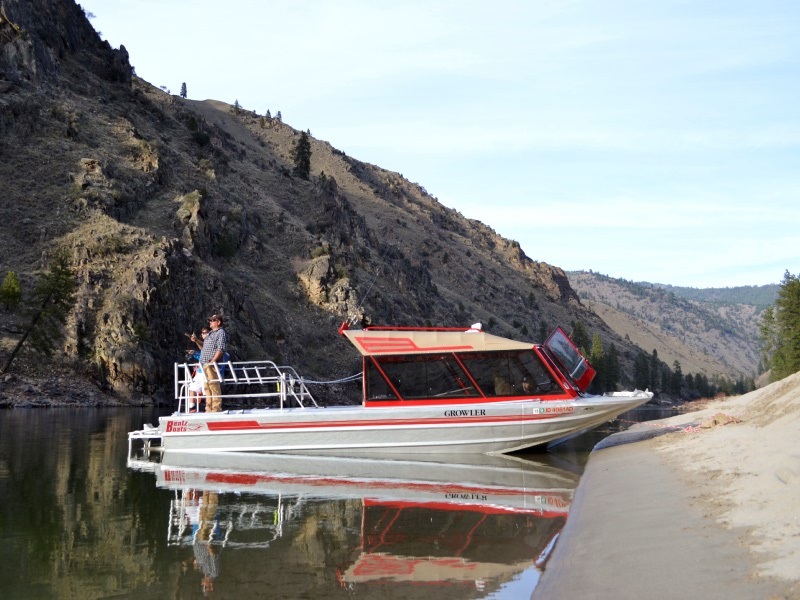 Mountain River Outfitters and Salmon River Tours are insured, licensed and bonded outfitters by the State of Idaho’s IOGLB and are equal opportunity recreation service providers and employers. 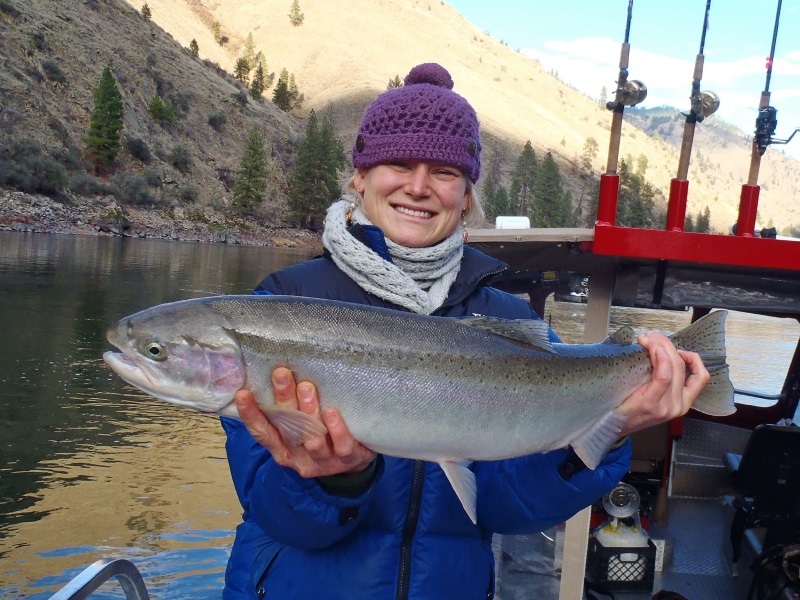 Salmon River Tours is a proud member of the Idaho Outfitters and Guides Association.